Beginners don’t need to know everything about the rules. Here are some simple guidelines to get you started. 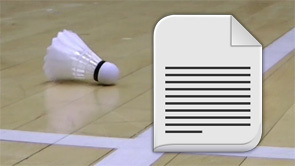 Experienced players may wish to skip this page, and move on to faults. Keeping score is pretty simple, but what about serving and receiving positions? Who should stand where, especially in doubles?